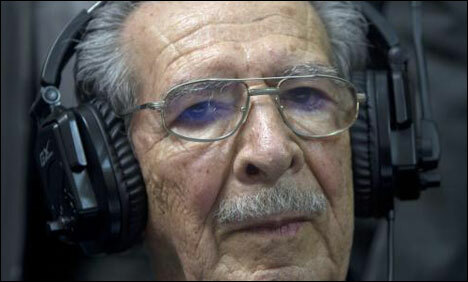 We, the International League of Peoples’ Struggle, applaud the historic verdict of the Guatemalan court, finding former military dictator Efrain Rios Montt guilty of genocide and crimes against humanity for the massacre of at least 1,771 Mayan-Ixil people and sentencing him to a total of 80 years of imprisonment. We congratulate the survivors and the people of Guatemala, the prosecutors, the judges, the international team of lawyers, the human rights organizations and all the people of the world who have struggled and worked hard for 15 years to secure an unprecedented verdict, convicting for the first time a former head of state in a national court. We hope that justice shall be rendered in many more cases of human rights violations which were committed by the counterrevolutionary state against the people of Guatemala in the course of their just struggle for national liberation, democracy, social justice, development and just peace. The example set in Guatemala for rendering justice to victims of human rights violations is inspiring to the people in so many countries in Asia, Africa and Latin America, where US imperialism has long instigated the exploiting classes to carry out state terrorism and commit human rights violations with impunity.